I've always been intrigued by racing characters in romance so I had to invite Aly Grady to the blog! 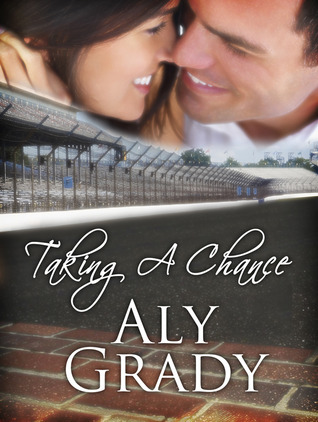 I have to know, why did you choose racing to be featured in your novels? I've always wanted to read a racing themed romance so I'm curious. Deciding the topic for my first book, The Racer’s Widow, was a natural choice. My husband and I moved from our southern, sunny home so that he could pursue his dream job with a race team. That first winter was brutal! The story evolved naturally. I’m of Irish decent with a LOT of blarney. I do ask my husband for advice on my racing scenarios. His critique of a scene in my first book – “did you just watch Days of Thunder when you wrote this?” So, it needed some work. He has since been my official technical advisor for all things from tire pressure, where the bump is on the race track in Fontana, California to the smell of burning rubber. The things you will learn as an author are unique. I’ve continued my learning curve for my next book about an interior designer and her carpenter. I hope you enjoy Sharon and Luke as much as I’ve enjoyed writing about them in Love Finds A Home. Thanks so much Aly! I bet you do get a lot of knowledge from your husband since he has first-hand experience! 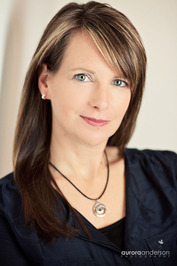 Christie McClure loved her life. Her husband and children, the life they lived, was everything she dared to dream. Coming home one day to the tear-stained face of her best friend turned Christie’s world upside down. Devin, a man of many talents is introduced to Christie as a Handyman by a neighbor. Devin learned the story of Christie’s family and couldn’t sit by and not help. He’s a take charge guy but with Christie he used a softer side. Christie learns of Devin’s lack of trust. Telling herself that her heart isn’t breaking and she didn’t need his distraction, she turned her undivided focus to her children and pushed Devin away. It’s Christie’s children who point out that her pain and fear was holding her back from a future of happiness. The two most important people in Christie’s world bring Devin back. Together, can they work out their differences? Aly Grady is New England born but for more than ten years has enjoyed living and raising her children in the Indianapolis area. She has firsthand knowledge of the racing industry because she is a racing widow. Aly enjoys trying to keep up with her two children and their busy lives, reading books by her favorite authors, watching IndyCar racing to look for her husband and traveling. 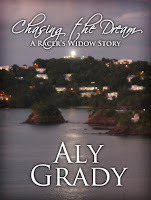 “If you can read all those romance books you should be able to write one.” Aly took that challenge by her husband and ran with it to create The Racer’s Widow. J here, stopping by from the #atozchallenge - where I am part of Arlee Bird's A to Z Ambassador Team. 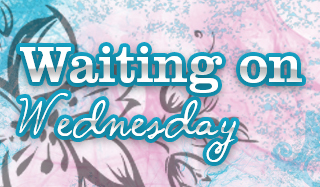 How has the first week of the challenge been for you so far? Are you meeting your goals of posting and hopping to other blogs? 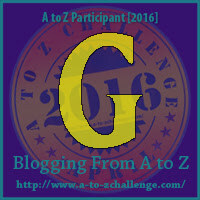 My blog has a giveaway with bonus a to z challenges to encourage people to visit more stops. I've followed your listed social media. A book with racing sounds interesting. Thanks for the info! Pretty good so far. Thanks for checking in! I have no idea what a racing theme is!!! Guess I have a lot to learn. Thanks. haha I probably just worded it confusing :) It's just a character that is involved in racing! :) Thanks for stopping by today!